Have you ever been to Japan? Well, it's a country that's hard to plan an itinerary for, especially for a foodie such as myself. 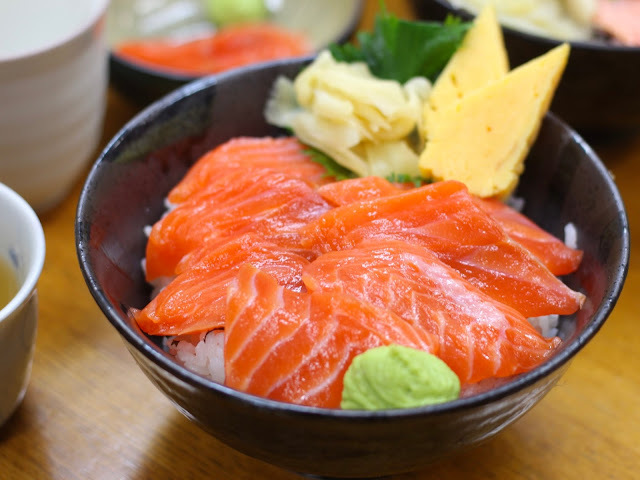 Searches for the must try restaurants in the country display a lot of different results, and there's just one explanation for it: food is generally delicious in Japan! Wherever you go, even when you dine in a small restaurant, you can expect that the food will be great. Tsukiji Fish Market is best known to tourists as the place to witness a tuna auction. But since we heard that the auction is restricted for those who will participate in the auction, we went there for the other main purpose: FRESH SEAFOOD. 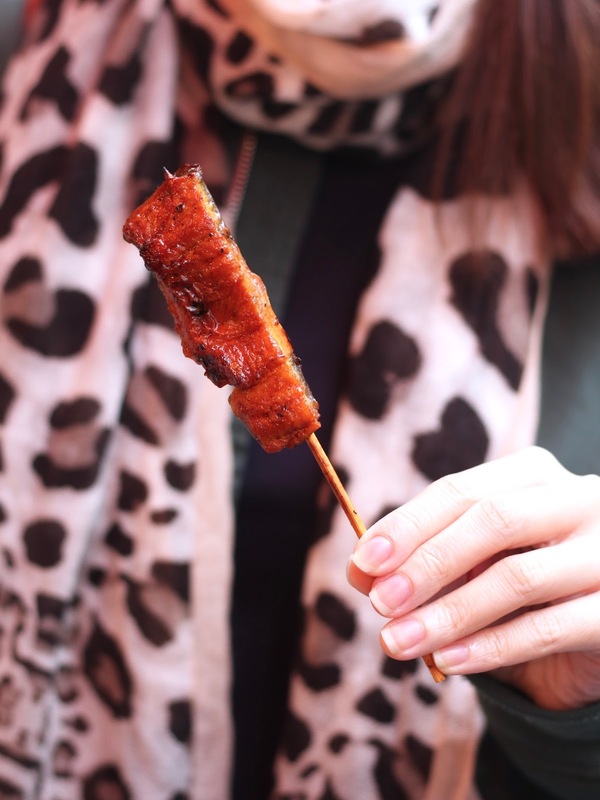 Wagyu steak on a stick! Incredibly juicy, tender, one of the highlights of this trip! There were a lot of sushi restaurants serving sushi set meals around the market, but we were only interested in having some fresh salmon for lunch, so we went to the cheapest one we can find. This is arguably one of the best treats I've had in Japan! 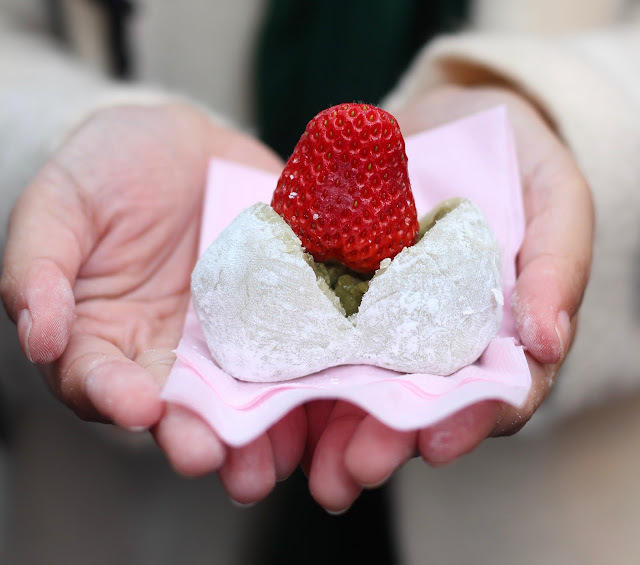 I'm a fan of mochi and red beans, but the strawberry on top really surprised us. How can this fruit taste so different and taste so much better than the ones we have in Manila??? 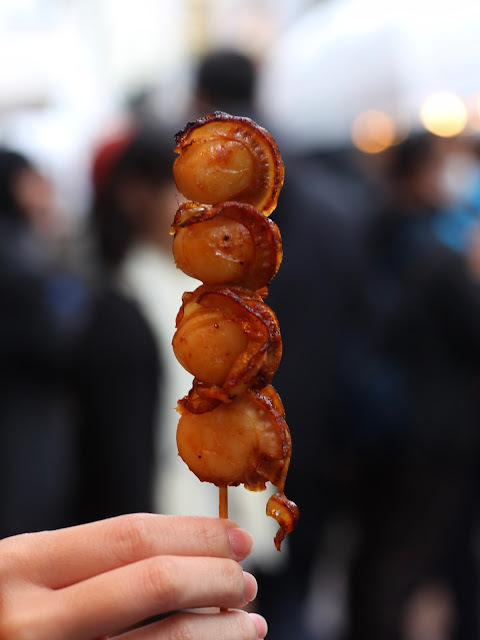 There's nothing unique about this omelette on a stick, except that it was sweeter than how we like our eggs back home. I don't think I appreciate its sweetness. 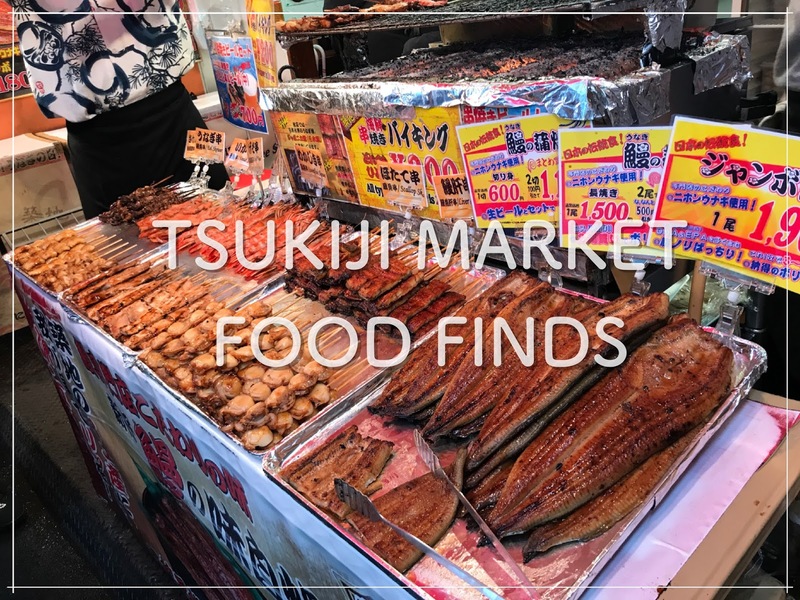 There you have it, the food I munched while walking around Tokyo's Tsukiji market. 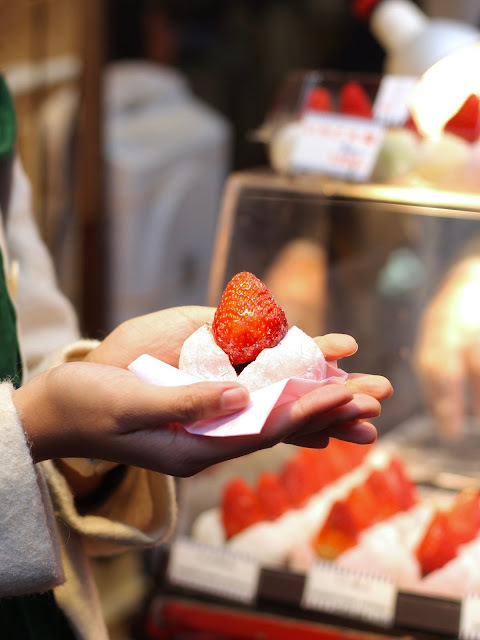 There are tons of other treats that you can discover, so make sure you bring an empty stomach and a big appetite!